So after an already slow episode, we get one that is even more slow. I guess this will be another short post. My need for constant action to keep me awake is getting the best of me. 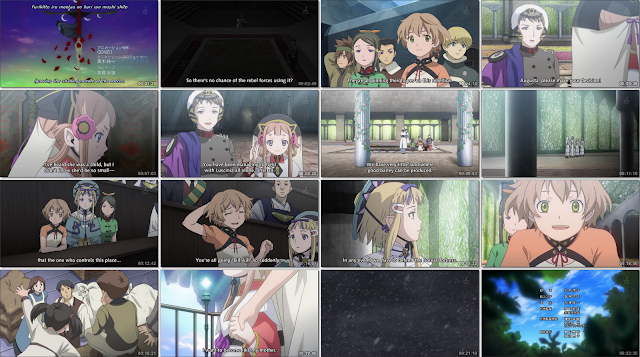 It was just a full episode to prepare for the battle without revealing any of the "good" stuff. 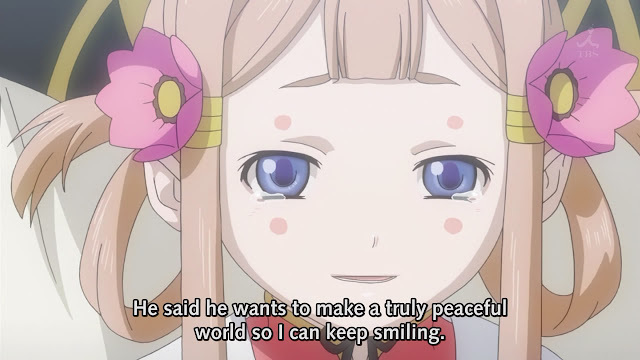 All we really had was the first meeting of Fam and the loli leader which will probably be important for the future. 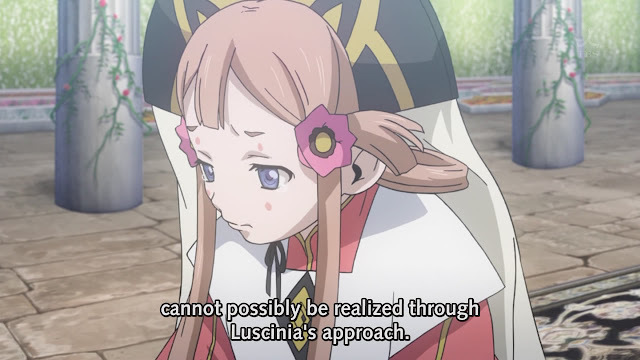 Funny how they realize Luscinia's approach now. The pictures she threw on the table didn't even have anything on it. You don't win wars by playing it nice. Especially not if you are conquering land as such a ridiculous pace. I actually found Millia's realization a nice touch. Being the leader, they only see their soldiers losing and that side of the war. To see the average person being better off was just put in so nicely. The realization that someone else might make a better ruler then you. I wonder how this small point will unfold. Clearly Luscinia will be portrayed as just before he dies/loses. 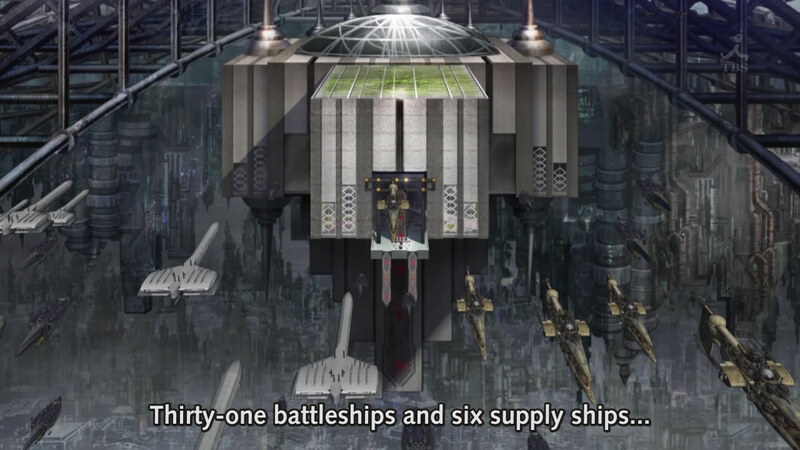 I still found it funny they thought 31 battle ships was alot. From what I saw, it seemed like a tiny number, 1 company at most. Each of the divisions under Luscinia looked to have these numbers already. The next episode will probably be them getting slaughtered until Anatory comes saves them. Then it will flip back over when Luscinia unviels his ultimate weapon he found in the northern lands. I am guessing that is the main piece of Exile? Anyone else find it hilarious all the episodes are named after chess moves except nothing in this show is tactical... Just cute girls doing cute things.